Hermione Farthingale and Bowie met in January 1968 and became “soul mates” but after a year she left him to work in a Scandinavian film called Song Of Norway. 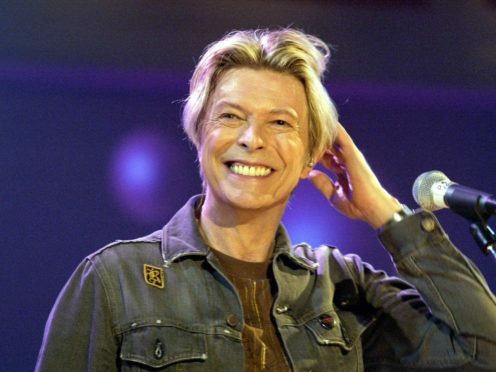 Speaking at a preview screening of the new BBC Two documentary David Bowie: Finding Fame, the former ballet dancer, now in her 60s, revealed she first heard the song a year after its release. Farthingale said she knew Bowie did not expect her to respond because just three weeks after its release in 1969 he married his then-partner Angie Barnett. She said: “I don’t think you’ve got time to hear all the extenuating circumstances that were around this but it was actually a year later when I first heard it. “He married Angie three weeks later so I think you can see, it wasn’t a letter that actually had a stamp on it, and wasn’t demanding an answer. It was rhetorical by that point. Farthingale is also credited with inspiring Bowie to write songs including Life On Mars and An Occasional Dream. More than 40 years after they split, Bowie sent a poignant message to Farthingale by wearing a T-shirt bearing the words Song Of Norway in his 2013 video for Where Are We Now. Farthingale denied their relationship had been one-sided, saying: “We missed each other as soul mates, as family, whatever it is that makes people incredibly close and lonely when they are not together. David Bowie: Finding Fame airs on BBC Two at 9pm on Saturday February 9.